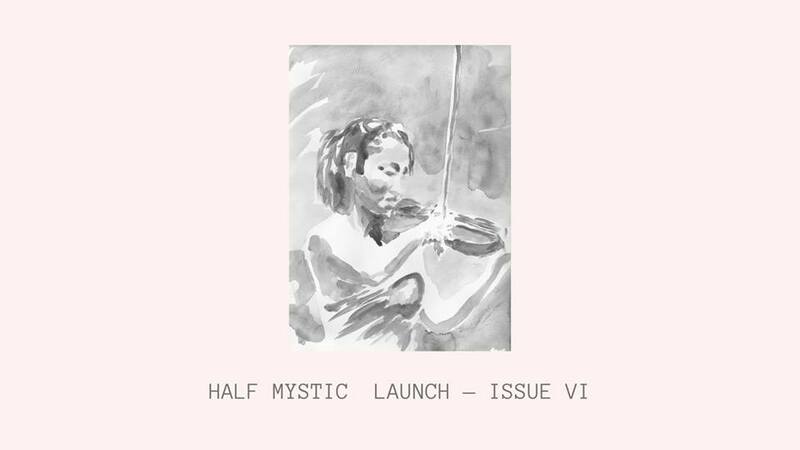 Issue VI of Half Mystic is a stunning compilation of contemporary art, lyrics, and writing in celebration of music in all its forms. This issue showcases the theme of interlude: the keystrokes of transitory—the movement in the rest—the inhale before the storm. After years of exploring every breathless permutation of knee-deep sound, the Half Mystic team is excited, this issue, to soften. Step back. Find ourselves brilliantly enclosed, at once heavy & weightless in the beauty of silence. This interlude feels like a silence we could settle into, a pause between main acts worthy of celebration. We hope you think so, too. We hope you find a resting point in this tender liminal space, light & lingering in the miracle of breath. Featuring performances and readings by Alvin Pang, Ethel Yap, Jocelyn Suarez, Jean Tan, & Laetitia Keok, an introduction by Topaz Winters, and hosted by Crispin Rodrigues!